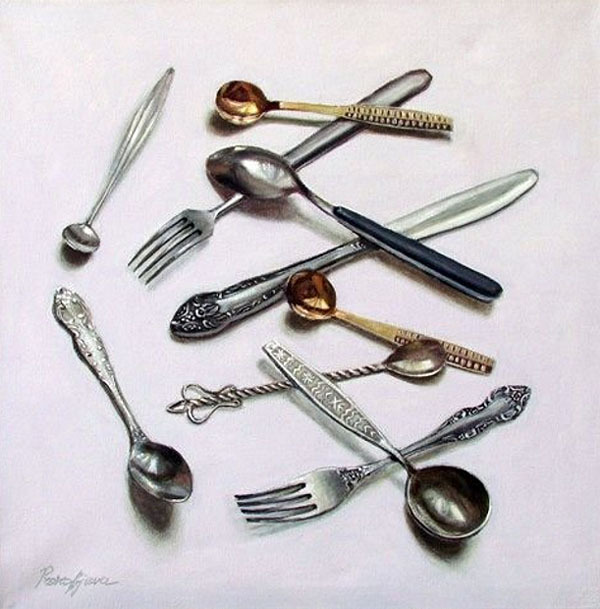 We love artworks that involve cutlery. It’s not just for the kitchen or restaurant. I’ve some in my study that looks amazing. And I really like the look of this piece by Alyona Prokofyeva. This piece is oil on canvas and is 15.75 inches by 15.75 inches. It’s a one of a kind and includes free shipping. It’s a heck a deal, act now! Many times we have covered concept designs for cutlery and every time it feels like I’m a kid again looking a flying cars or jet packs that we predicted for the future. Well we have a electric cars and water skis finally. 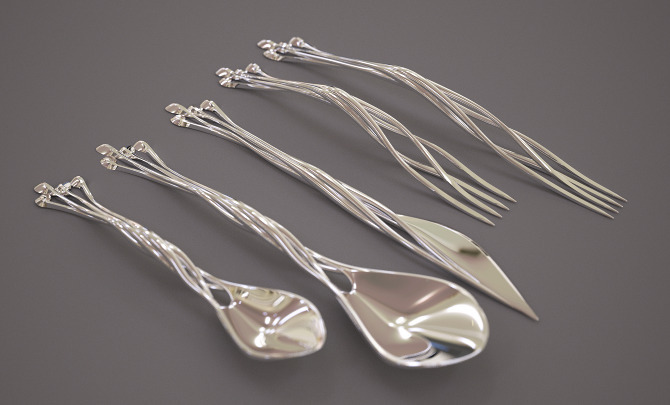 So what about the amazing 3D printed flatware designs we keep seeing? When are they going into mass production and onto our dining room tables? Francis Bitoni Studio uses 3D metal printing technology to create amazing cutlery in sterling silver. It’s called Setae Flatware with handles of four metal strands that intertwine gracefully to finish in a point. The spoons are interesting, the knife looks like an elfish sword, but the forks are an incredible organic design. No sign of it being available to the public sadly. Maybe we have to wait for our own in-home 3D printer like Star Trek? Normally we start the week with some sort of conceptual design that isn’t available or in production. This design is available now for order and by Richard Hutten of Royal VKB (who do some amazing work). 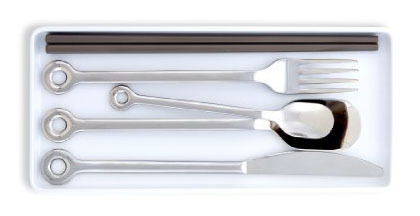 This one person set of very stylish cutlery consists of 5 pieces: a storage box, chopsticks, knife, fork, dinner and dessert spoon. Made from dishwasher safe 18/10 stainless steel. 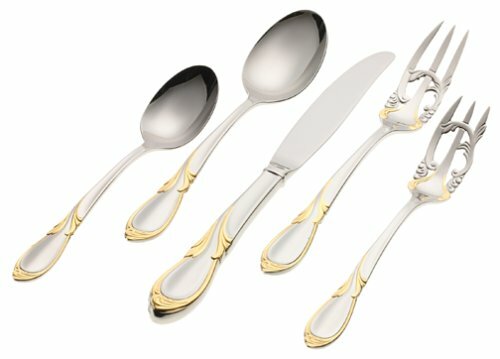 This is high end cutlery for high end dining.